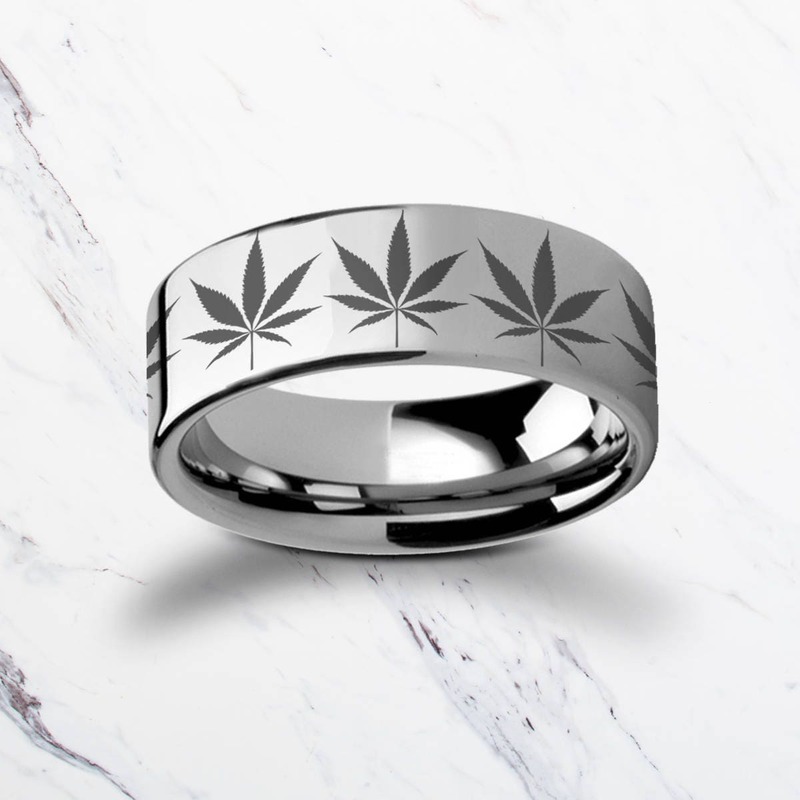 This is a flat polished tungsten carbide ring with a very unique and simple engraving of weed leaves. The engraving goes around the entire ring! You can request to have only 4 engraved or even request something else be changed! Feel free to message us.